Children who are gifted often have needs that are not met. For some reason, people assume that if a child is gifted, he or she may not need specialized and individual education. But children who are gifted have needs that are real and must be addressed. The definition of what it means to be gifted has changed a lot in the last few decades. The education and psychology communities have moved away from defining giftedness as just performing really well on an IQ test. We now see giftedness as a wide range of skills and talents. To learn more about these relatively new theories and types of intelligence, please visit the zero to six part of this course. Please make sure to scroll all the way down to the bottom of this page, where talent is defined. For more information about early signs of giftedness, please visit the following websites and listen to this audio clip from CBC news on early signs of giftedness. Social/emotional: children who are gifted may struggle with social skills because of their advanced development. However, this is the exception rather the norm. Many children who are gifted are quite popular and have a lot of friends. Many of them are great at identifying emotions in themselves as well as in others. Many also have a very high sense of empathy towards others. Engaging in independent study: the child chooses a topic that is of great interest to him or her and pursues it in his or her free time. The child researches the topic and could end up presenting what he or she has learned to the entire classroom. It is crucial that the needs of children who are gifted be addressed, be it in the regular classroom or in a special classroom for the gifted. People often cite individuals who are highly gifted and their contribution to humanity, but often forget that these gifted individuals had teachers. So, in the regular classroom, the regular education teacher and the special educator will work together to make sure that the needs of the child who is gifted are addressed and take care of. Giftedness does not occur in a vacuum. Some children who are gifted are advanced in many developmental areas. But others are only advanced in some areas (for example: math). Still others can be advanced in one area but really struggling in another. 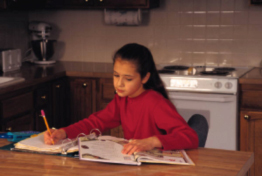 For instance, some children who are gifted also have ADHD or a learning disability. And let us not forget those who have great talents. Not all talents can be measured with an IQ test. 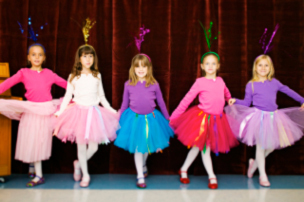 Some children may have great singing voices, some are really good dancers (Fig. 2), while others may be great with words, may paint really well or be good at sports. They are just as gifted as those who are good with math!